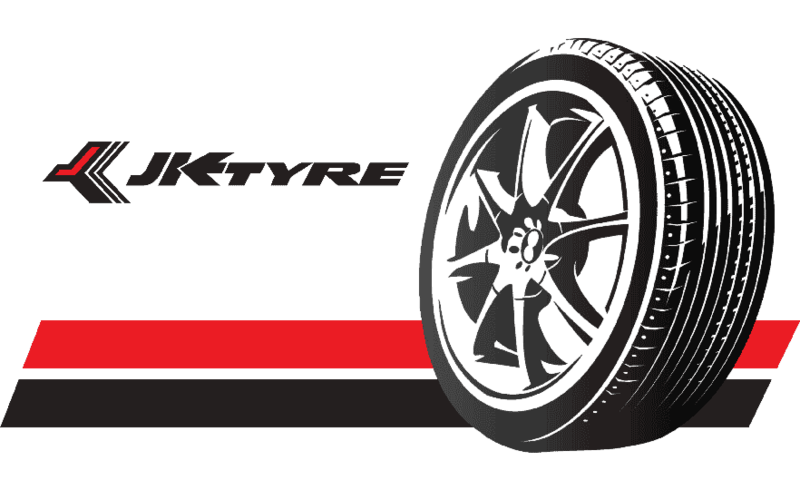 JK Tyres is one of the most well reputed automotive brands in India. Apart from establishing 10 functional firms all over our country, JK is now a global player. It has taken over Tornel, a Mexican company. The company has now earned a worldwide customer base across 80 countries throughout 6 continents and has the capacity to produce almost 20 million units per annum. It is interesting to note that JK tyre company to introduce radial technology in passenger car wheels in 1977. JK’s entire range is excellently suited for a wide variety of automobiles, starting from farm tractors to passenger vehicles, and even three-wheelers. The company prioritizes the safety of passengers above all else, and thus produces units that are not only efficient but safe as well. For Passenger cars - JK is the pioneer when it comes to manufacturing passenger radials in India which are sturdy and safe. You can look forward to a smooth and stable ride by using JK tyres for your daily commute. For Motorcycle/Scooter - The specialty of motorcycle/scooter wheels produced by JK is that they come with unrestricted lifetime warranty. These are manufactured using hybrid technology and are 100 percent run out tested. Thus, you can trust them with your eyes closed. Also, these are extremely long lasting. For Commercial Vehicles - JK manufactures products for trucks, buses, LCV and SCV vehicles as well. You can choose from Radial and bias wheels when it comes to bus and tracks. The commercial ones from JK are robust and provide the necessary strength and durability to withstand long travel across varied terrains. For Farming - This type is designed to deliver durable products to Indian farmers so that they can work with increased force and ease. Superb grip with minimum wear and tear for farming purposes make farm tyres from JK unparalleled. For Off-Roading cars - JK is a popular manufacturer of large off the road wheels. In fact, it has manufactured the largest one in India till date - measuring 12 feet in diameter and weighing about 3700 kg. JK delivers the required toughness of their products, which is essential for off-roading activities. For Three Wheelers - The three-wheeler tyres produced by JK are simply one of a kind. They have a 5-rib flat tread design, strong nylon casing, and promise a high-performance compound. These have an excellent and smooth wear, increased road grip and high casing reliability as well. UX1 - This is a range of tubeless radial wheels which promise supreme performance. They fall under the segment of super luxury car wheel, and it subtle yet refined styling promises comfort with good looks. Elanzo NXT - These are excellent for premium SUVs. The ragged pattern provides a fantastic grip, enabling your SUV to operate on any terrain. VECTRA - Your sedan needs wheels which make sure that you enjoy a stable and smooth ride across the city streets. And the Vectra is designed exactly for that performance. Ultima - The Ultima series produces cars that are best suited to city driving. They offer short braking distances with the best grip. They also ensure fuel savings by means of low rolling resistance. Since JK manufactures products for different types and models of vehicles, the tyres come in 12 inches, 13 inches, 14 inches, 15 inches, 16 inches and 17 inches to suit various car models and designs. You can choose the size in accordance with the type of vehicle you own. The prices depend upon the type of model and the size you choose. For example, the most expensive ones produced by them is the Elanzo Nxt range which is priced at about Rs 25,678. The Ultima LXT range starts at Rs 2900. One thing is for sure - JK provides value for money. Most of their products are quite inexpensive and can be bought readily. The Elanzo range is the priciest, with rates starting from about Rs 6000. This is obvious since this range is meant for luxury 4 wheelers. For the Tornado series, the prices begin from Rs 3300 and can go up to Rs 7500 or more. The warranty provided by JK is valid for a period of 3 years for Truck/Bus wheels, 3 years for LCV wheels, and 5 years for Passenger Car wheels. It must be remembered that the warranty is only valid for the first owner of the car. Second-hand buyers will not be eligible for the warranty. Where to buy JK tyres in India? You can buy from JK tyres showroom. Every Indian city has got several showrooms which sell the extensive range of JK products. You can also easily locate the JK tyre dealer nearest to your location and reach out to them. Dealers in every nook and corner of India are well-stocked with JK products. Nowadays, the product is also available online. And there are a lot of advantages too when you buy JK tyres online. Why buy JK tyres with us? JK tyres are available on GoBumpr for extremely reasonable prices, and you will actually end up saving a lot of money if you buy from this website. With GoBumpr, you will be able to place your order easily without any trouble whatsoever. The portal is simple and really to access and you can quickly place an order without the slightest hassles. The website provides exciting new deals and discounts on products daily. So if you see, it provides an overall cost-effective option to you. The finest radial for enhanced grip JK tyres Vectra. Recently, I bought the Elanza NXT for my Mahindra Scorpio. It has got excellent ride quality, and effortlessly blends performance with style. It also has an improved braking and enhanced steering feature, which helps me manipulate my car better. I am really very satisfied with this product. JK tyres UX1 is a model for a robust grip. The UX1 possibly has the best radial in the market. It provides great traction on any surface and has a supreme grip on wet roads as well. It is also highly affordable, which is simply a cherry on top of the cake. This has been one of my best buys, courtesy JK. © 2019 - NORTHERLY AUTOM0TIVE SOLUTIONS PRIVATE LIMITED. ALL RIGHTS RESERVED. TERMS OF SERVICE.